All CabCon agricultural, commercial and vehicle air conditioning replacement parts are warranted to be free from defective materials and/or workmanship for 1 Year from date of purchase. No labor or refrigerant allowance will be allowed for losses involved in the replacement of these parts. During the warranty period, parts determined by CabCon to be covered will be repaired or replaced at CabCons discretion. Approved warranties are non-refundable and will be in the form of merchandise credit. All warranties are to the original owner/purchaser only; a transfer of ownership or any 3rd party installation will terminate the warranty. All CabCon parts are to be installed by an authorized dealer or repair technician. A copy of the dated original installation work order must be furnished with warranty claims, when requested. All warranty parts must be returned to CabCon for inspection before warranties are issued. This warranty does not cover defects caused by customer neglect, incorrect application, wiring, alteration or repairs made outside the company’s authorization. 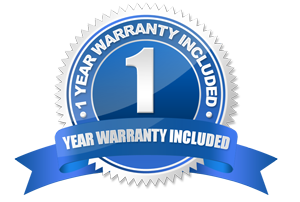 This warranty is in lieu of any other warranty, whether expressed or implied.